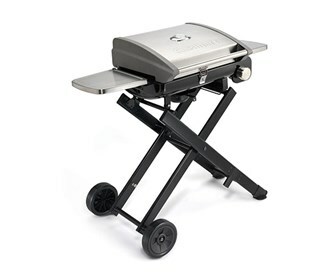 The Cuisinart CGG-240 is a portable outdoor LP gas grill. 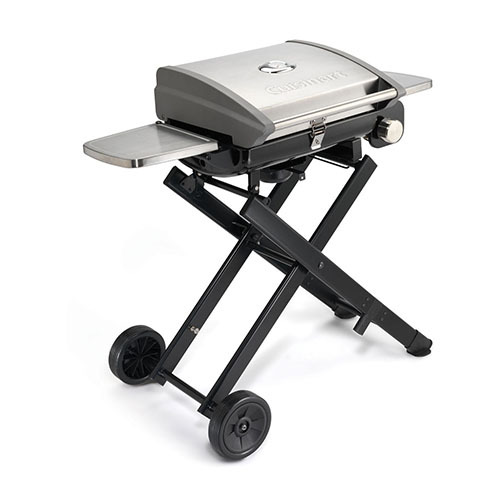 This grill combines exceptional performance with convenient portability. It is designed for ultimate versatility, ample grilling space, full-size height and convenient hide-away side shelves make it ideal for everyday family grilling. It is easy to pack up and transport to any campground, tailgate or beach to compromise on the quality of grill away from home. It features a large 240 sq. in. 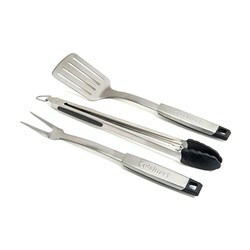 grill surface with reliable TwistStart electric ignition. 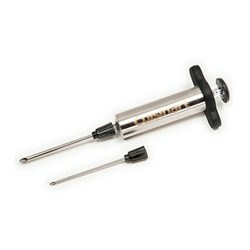 A 15,000 BTU stainless steel loop burner and an integrated precision temperature gauge. The heat distribution panel ensures even temperatures across the entire grilling surface and reduces flare-up. This grill uses liquid propane gas cylinders which are sold separately. 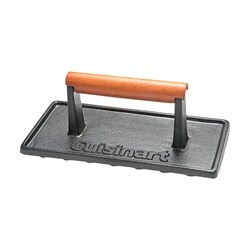 The Cuisinart Portable Outdoor LP Gas Grill has many exciting features for users of all types. You can extend the lifetime of your Cuisinart Portable Outdoor LP Gas Grill with the purchase of a FactoryOutletStore Factory Protection Plan. 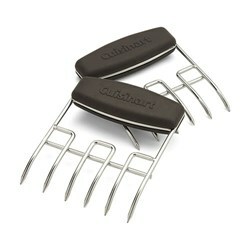 See the Cuisinart Portable Outdoor LP Gas Grill gallery images above for more product views. 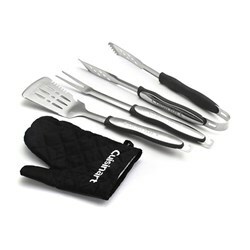 FactoryOutletStore stocks a full line of accessories like Cuisinart 10-Piece Premium Grilling Set, Cuisinart 3-Piece Grilling Tool Set with Grill Glove, and Cuisinart 3-Piece Professional Grill Tool Set for the Cuisinart Portable Outdoor LP Gas Grill. 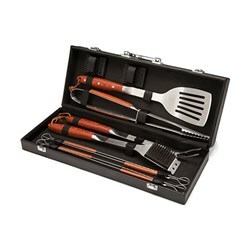 The Cuisinart Portable Outdoor LP Gas Grill is sold as a Brand New Unopened Item.